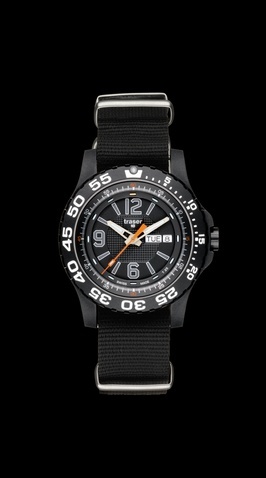 The new traser H3 Extreme Sport watch Serial is a special design for the Outdoor Extreme Sport sector. The double case construction (outer case frosted steel, inner case polished steel) gives this watch extreme toughness and durability. Combined with the blue trigalight illumination the new traser Extreme Sport watch is readable under any circumstances and a reliable instrument even in extreme situations. In addition, the sapphire crystal and the water resistance to 990ft turn this watch to a real sporty highlight for people who love innovative technology!